After flying all night, the team spent time sightseeing around London before staying in a hostel in London and catching a morning train to Manchester on December 27 for their first game. Prior to that first game, Jack Minister '06, a former Hornet player and current Manchester Magic professional player, met with the team to explain international FIBA rules and talk about the tournament ahead. While sleepy, the team was able to defeat the host Manchester Magic 77-57 in the first game behind Caleb Green's '17 34 points. 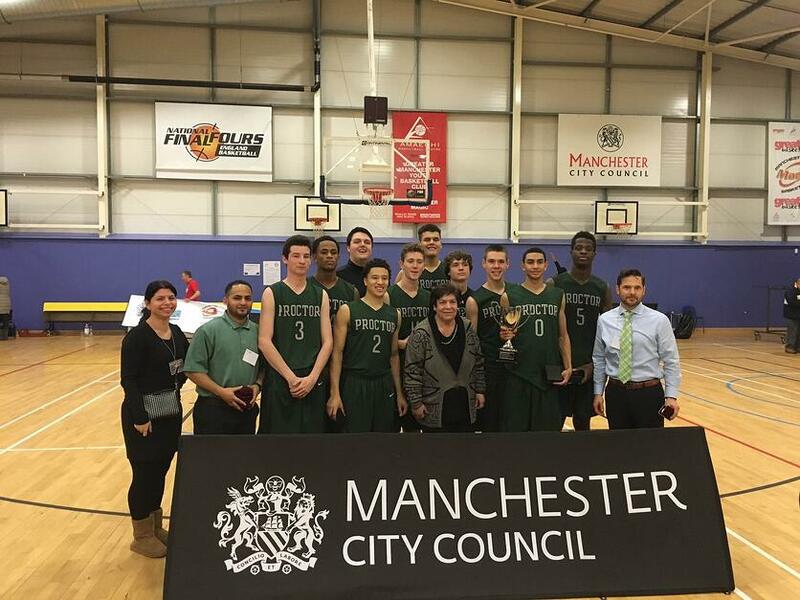 The next morning, the Hornets fell to the England U-18 national team 71-81 in a hard fought contest. 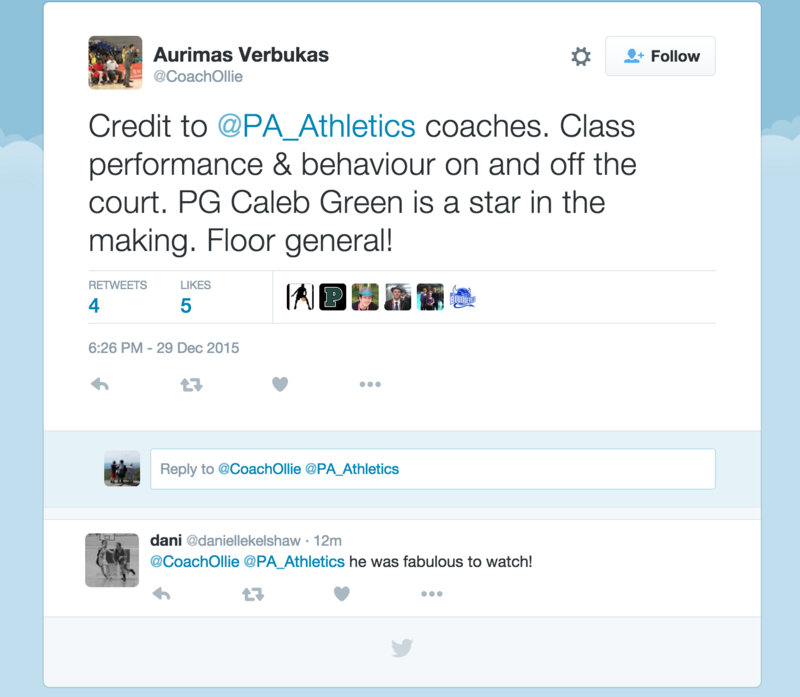 Green again led all scorers with 25 points, while Tshiefu Ngalakulondi '17 added 17 points, and Geo Baker-Occeus '17 16. Playing for a spot in the semi-finals late Monday afternoon, Proctor fought off a scrappy Scottish national team to earn the 89-80 win behind Green's 22 points, Baker-Occeus's 21 points, and Julian Roche '17's 17 points. The team suffered through deep foul trouble all game, but saw big contributions from Drew MacInnis '17 stepping up to play a new position when needed. While the team played two strong games Monday, the highlight of the day came when Jacob Lloyd '14 visited with the team following their win and the group witnessed Manchester United fans in full force at the hotel - talk about cultural immersion opportunities! In Tuesday morning's semi-final, Proctor faced the Turkish U-17 national team, a bronze medal finisher at the European games. Proctor was firing on all cyclinders all game and hung tough with their opponent, holding a one point halftime lead 43-42. 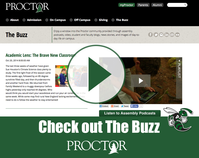 The third quarter saw more back and forth action with Proctor leading 60-57 after three periods, however, the fourth quarter was all Proctor as the Hornets exploded for 39 points in the quarter and eventually secured the 89-72 win! 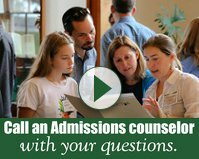 Following the game, head coach Gregor Makechnie '90 noted, "It was an incredible game. We are finally playing as the team we know we can be, and are starting to realize our potential." 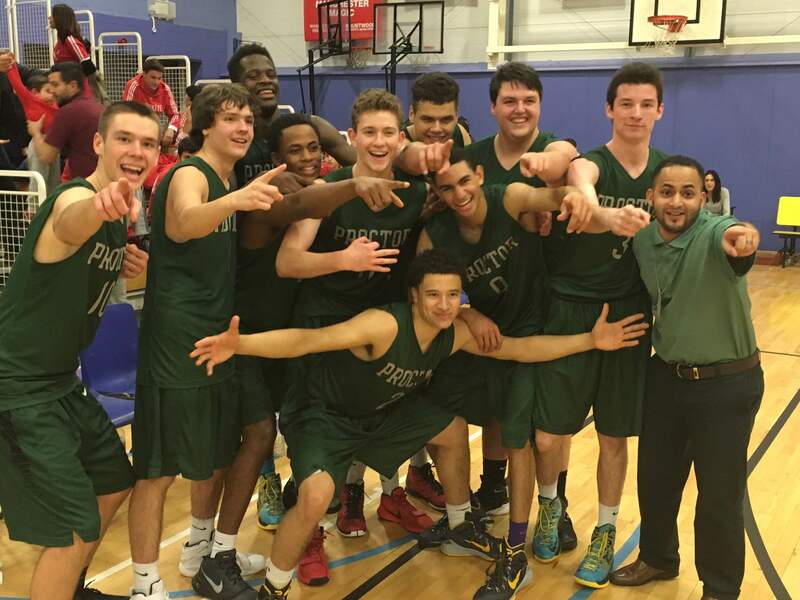 In the finals, the Hornets earned a rematch with England and continued their hot play from their upset victory over Turkey in the semi-finals. While Proctor fell by ten in the team's first matchup a day ago after 38 minutes of back and forth action, today's championship game was never in doubt. The Hornets built an early ten point lead and continued to build upon it throughout the game. Tshiefu Ngalakulondi led all scorers with a 27 point, 11 rebound outburst, while Julian Roche added 18 points and 11 boards, and Geo Baker added 17 points and 8 assists en route to the Hornets winning the Haris Tournament Championship 82-63! 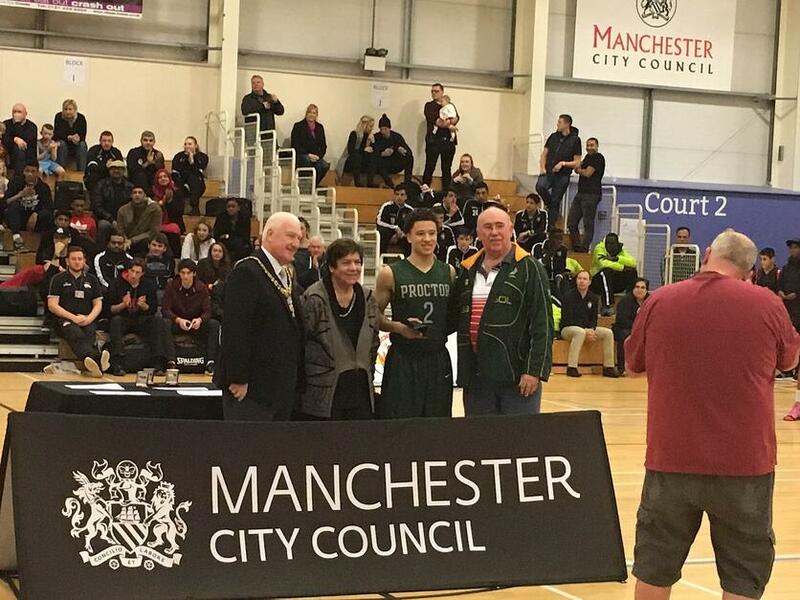 Caleb Green was named the Daniel Whelan Tournament MVP after scoring 119 points in the five games (including 11 points and 9 assists in the final) and was joined on the all-tournament team by Ngalakulondi and Baker. 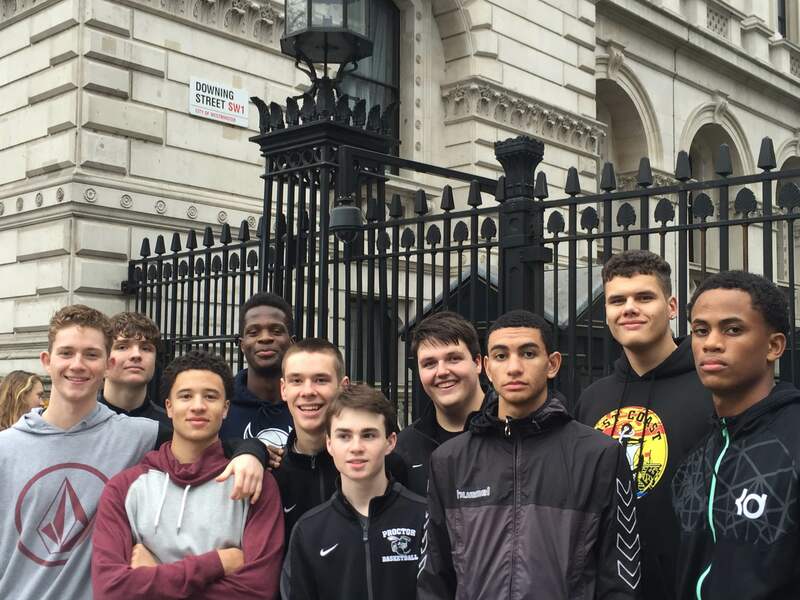 The value of this group of young men traveling to England as a team extends well beyond extra time on the court during vacation and seeing the sights of London. So much of performing as a team (regardless of the setting) is learning to trust one another, to appreciate your teammates for who they are, not just their talents on the court. 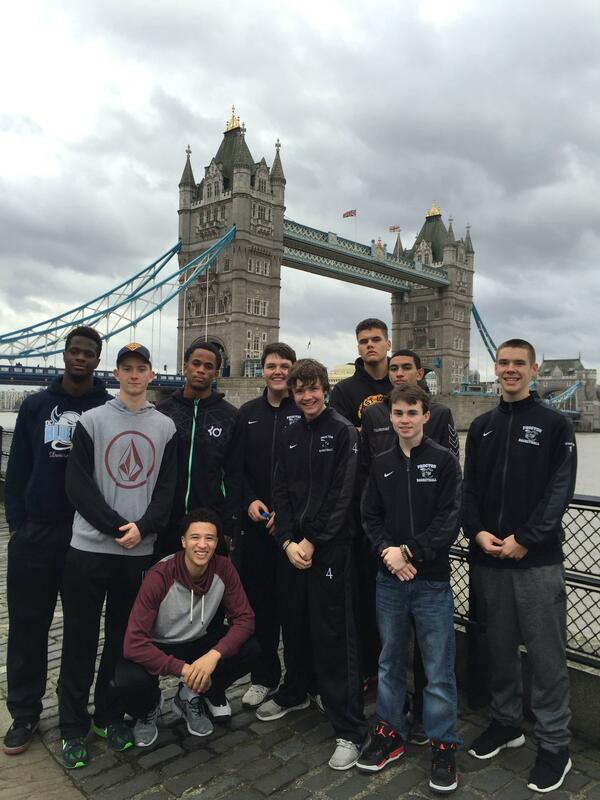 As the boys' basketball team celebrates their championship victory and spends one last day in London before flying home on December 31, they will continue to bond as a team and prepare for the bulk of their season ahead. A big thank you to the Haris Tournament committee and the Amaechi Basketball Centre for hosting our boys over the past few days!